At API Pneumatic UK, we have a range of cartridge cylinders suitable for a variety of industries. Choose from a 6, 10 or 16mm bore length, depending on what your application requires from your cartridge microcylinder. Speak to our technical experts for guidance about the appropriate size to meet your specific demands. Our single-acting pneumatic cartridge cylinders are manufactured with a threaded body. This offers easy adjustment, as well as bulkhead mounting or mounting into pre-tapped holes. The threaded body also allows a further adjustment of the end position of the stroke. 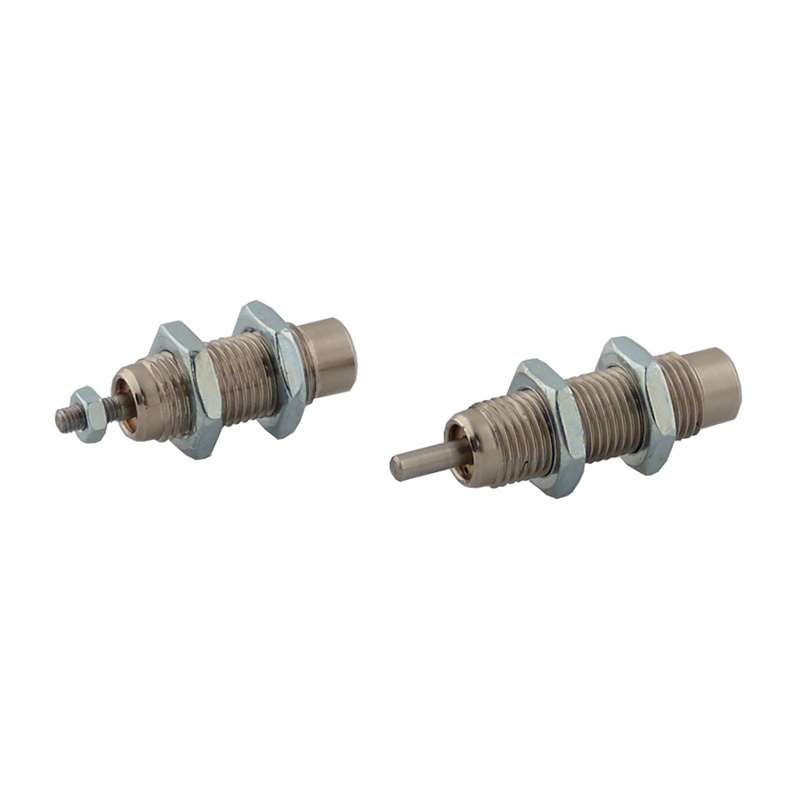 We have two versions available, one with a non-threaded rod and one with a threaded rod. All of our cost-effective pneumatic cartridge cylinders come pre-lubricated, making them suitable for non-lubricated systems. They function in a temperate range between -20°C to 80°C and a pressure range of 2 to 7 bar, providing reliable and high-quality performance. At API Pneumatic UK, if requested, we can also provide a special version of our cartridge microcylinders. We work to provide you with the most effective solution, so contact our team today for further information. API pneumatic cartridge cylinders are manufactured from nickel plated brass, with a stainless steel rod and spring, and polyurethane seals. The small dimensions of an API cartridge microcylinder ensure it can be an adaptable addition to many machine applications. At API Pneumatic UK, we pride ourselves on our honest prices and extensive product knowledge. The experience of our technical team allows us to provide in-depth and accurate advice about your product enquiry. Our end goal is to meet the demands of your application. Avoid expensive downtime and loss of productivity with next day delivery. Order before 4pm and receive your cartridge cylinder as soon as possible. For more information about our pneumatic cartridge cylinders or our entire cylinder range, contact API Pneumatic UK today. Call us on 01782 206 995, email us at sales@apiuk.co.uk or fill out our contact form and we will get back to you as soon as possible.